Marching right along in the Horus Heresy review series, next up is Book 12, A Thousand Sons. This book begins to touch on the one Horus Heresy storyline I'd read before embarking on this journey; Prospero Burns. I'd known from just a background and discussion perspective that the story of the Thousand Sons was a tragic one. 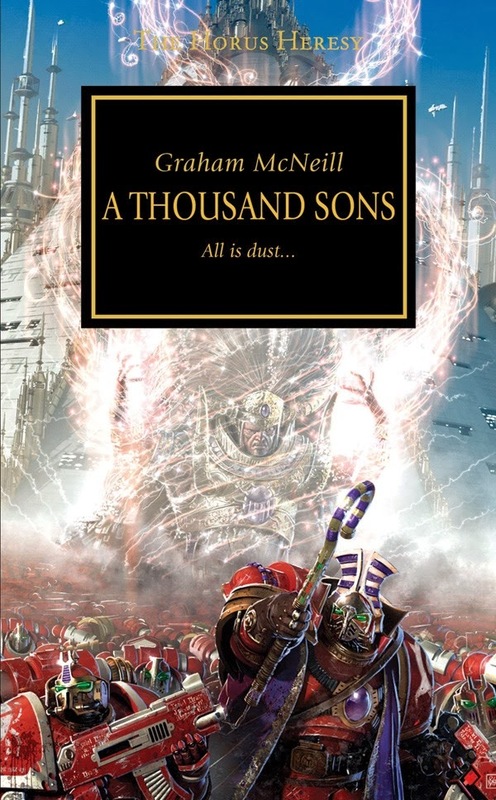 Unlike other fallen legions, as has been hinted at in previous books in the series, and False Gods in particular, Magnus and the Thousand Sons are not part of the Heresy exactly. As a reminder, Magnus is the one who tries to stop Erebus when Horus is sick and prevent his turning. As with recent reviews, I'll put the spoiler alert here, because I will not hide from them if I want to discuss them after the jump. You've been warned. As part of our most recent gaming weekend, Ron and I squared off in a 1,850 point NOVA-style game. 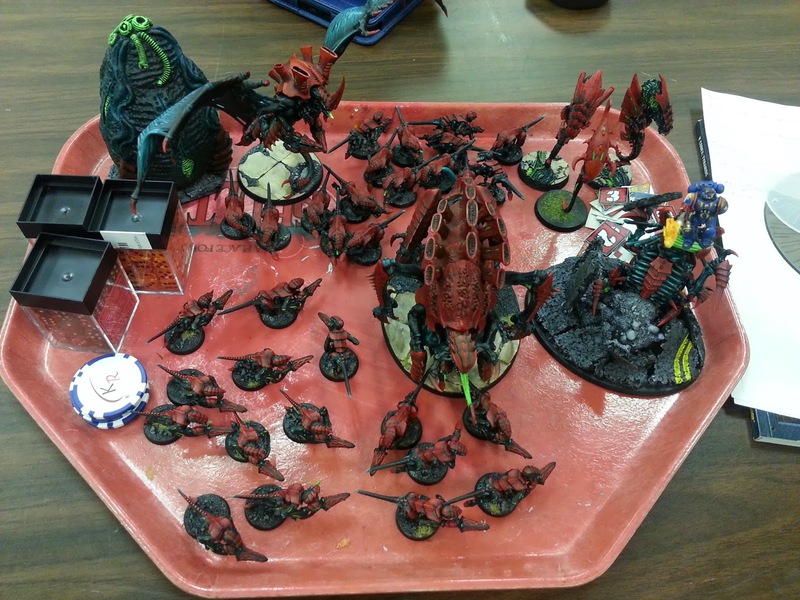 Ron decided to take his Tyranids while I borrowed some of his Tau to run an Eldar list with Tau allies. Stumbling through painting a Tervigon, the BeeCee way. BeeCee here again. 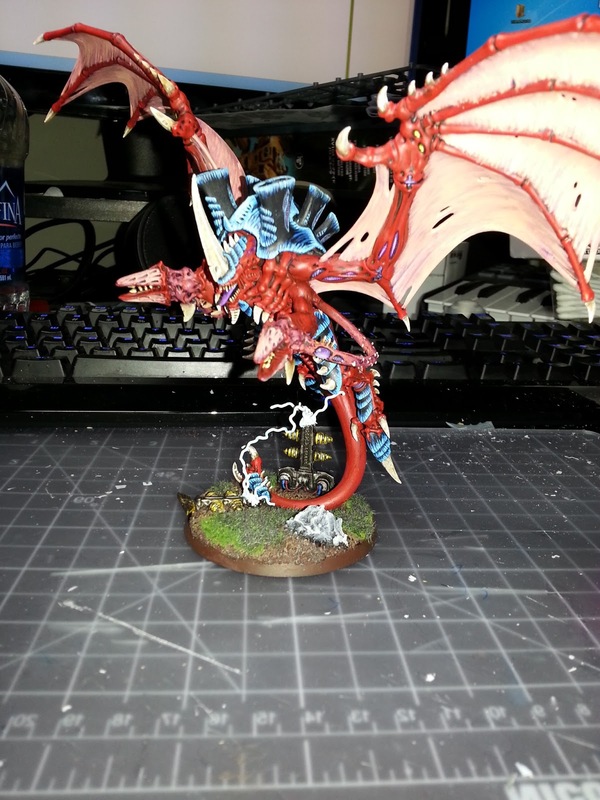 I thought I would give a quick tour of how I painted my first ever MC, my crushing claws Tervigon (or the baby momma as we call her in my gaming group). *Disclaimer*- These pics aren't great, I decided to write a blog post after the fact. 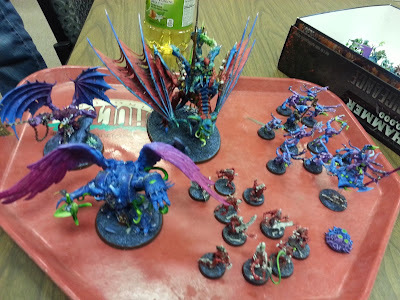 These were pics I took for my gaming group's Facebook page to make it look like i was diligent with my painting. My dear, it's not fashionable to wear white after Labor Day. Or just primer EVER! Surf’s up here at the Grey Tide because a Tidal Wave of Nids is flowing in this weekend. Ron, Evan, and I are getting together for another Gaming Weekend and I am super pumped to try our scenarios, blast some Nids, and hopefully survive our first Mission Based Scenarios. But that’s not what my post is about. I have recently acquired my first Titan. He is a Imperial Warlord Titan, that I got off of eBay (thank you eBay), and he is a Monster. He looks incredible with a lot of great details, the box he came in makes him look even bigger, and I have a new weapon for my Iron Hands Allies with the new Clan Raukaan supplement coming out, I am super excited to maybe start my second army (maybe). 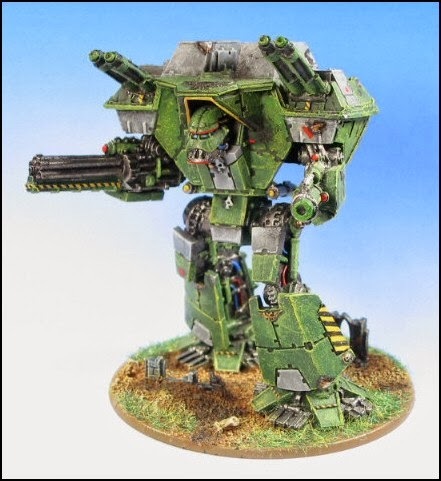 But my post today is about magnetizing this Beast: The Imperial Warlord Titan. I recently got a Wave Serpent to finally begin catching up with how Eldar are "supposed" to be built. That and after getting destroyed by them at NOVA, I can't deny they're good, and they look cool. 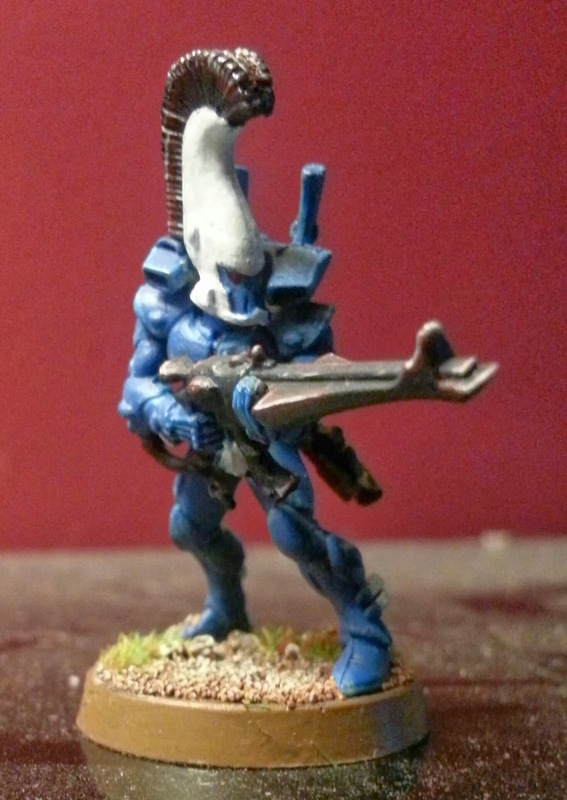 I've always had a soft spot for Eldar tanks. To begin the build, I was looking at the turret. My initial plan was to create a magnet system to swap out the weapons, but at the same time, I can't seriously imagine a time when I wouldn't want Scatter Lasers. 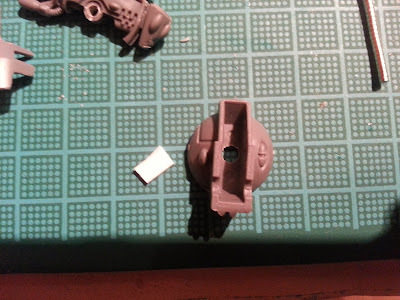 I tried magnetizing the shields to the axle, but it ended up not really working, and I ended up abandoning it. Darkstar GT preparations or How I came to love painting for hours every night. BeeCee here. I am playing in my first ever 40K GT in March 2014 called the Darkstar GT. In a fit of utter insanity I decided to bring my Tyranids. The Tyranids present a unique challenge as they are getting a new codex anywhere from three weeks from now to a little over a month from now. I am hoping you will come along with me as I embark on this first tournament journey. Here is the army list as it stands so far. To follow up on my first impressions post, I wanted to provide a slightly more detailed review. That said, there's honestly not a whole lot to review. The fluff is interesting, but no huge revelations. The biggest notes of interest for the fluff is the brief mentions of other Ordos, including Chronos and Scriptorium. 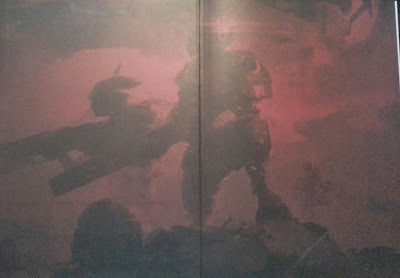 That said, all the new Ordos are mentioned extremely briefly. The unexpected Codex Inquisition has arrived. While I don't currently play any human force, I was intensely interested in just what the codex would contain. In particular, I was curious how it would work and whether it would be a standalone force or a quasi-supplement for Imperial armies. After my victory in Round 2, I was in the championship game (there was only 8 players there) against none other than Dark Eldar. To recap, Round 1 was a triumph over other Tyranids, while I faced down Space Wolves in Round 2. Now my swarm would be challenged with nearly the same army (commanded by a different general) that greeted me to Sixth Edition with a resounding tabling. 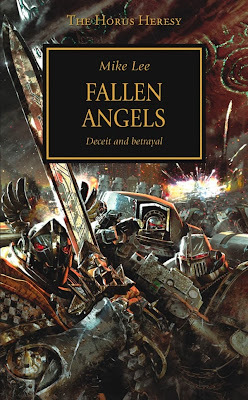 Continuing with the Horus Heresy Review Series, next up is Book 11, Fallen Angels. This book is a follow up to Descent of Angels, and follows the same characters. While I think Fallen Angels includes enough review that a reader wouldn't be totally lost if they skipped the previous book, it certainly helped. 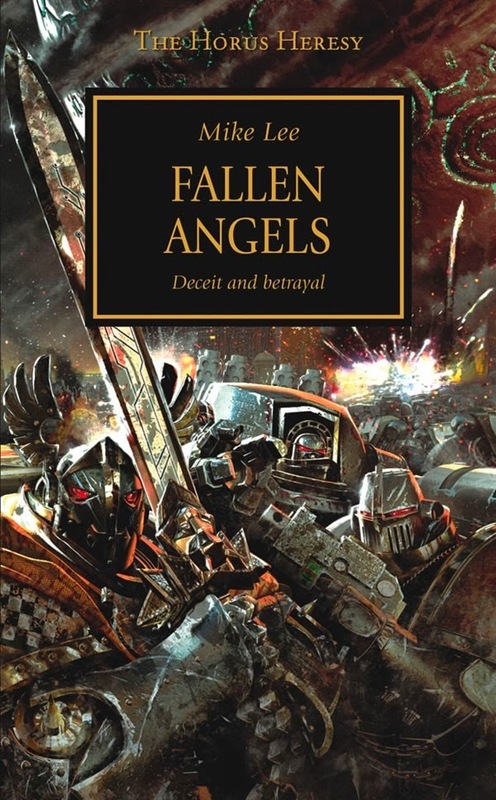 As a result, this book helped me appreciate Descent of Angels a bit more. After the jump I'll get into some of the details (aka Spoiler Alert) but I actually really liked this novel. I was a little leery of continuing a story arc that I hadn't enjoyed overmuch, but the story is generally well crafted and pretty fast paced. What is up everyone? 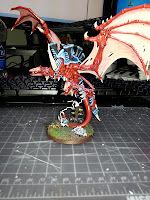 So with a host of new game styles coming out from Games Workshop, I decided to go back and tweak with our original Tyranid Horde games (games 2-3) and set it up as an opportunity to tweak the system and setup a leveling system within the game. Obviously everyone has heard of D&D, Pathfinder, or any of the other hundreds of RPG games that are out there. Well with some ideas from Evan, I decided to add my own flair into our games. I mean let’s face it, story telling is the hidden background to 40k, Fantasy, and any other table game out there. The actions you take and the choices you make have a direct impact on the game, who survives, and most importantly how the story plays out. Continuing from where we left off, in Round 1 I beat a fellow Tyranid player in a three-turn game of Emperor's Will. Round 2 would see me on the same table against Will's Space Wolves. Last time I played Will was with my Eldar against his Tyranids, who he has retired until the rumored Tyranid release (next month!?). Picking up Hitchhikers, Someone New Joins the Fold! Hello everyone, I am Bryan, aka BeeCee, the newest contributor to FTGT. I wanted to take a minute to introduce myself as I join in the battle against the Grey Tide. 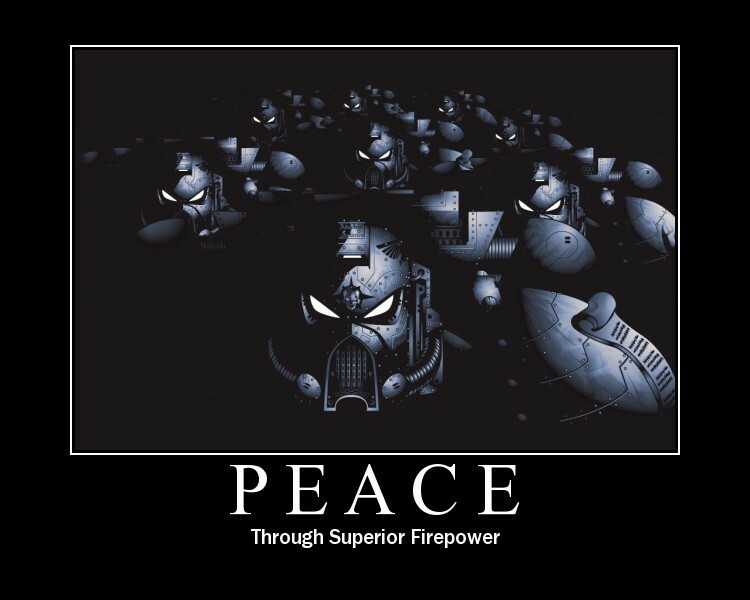 I started playing Warhammer 40k WAY back in 2nd edition, long before the force org chart and special characters ruled the game. While I was unable to attend the October tournament as planned, I brought the list to November's tournament. I'd included the Mawloc in part because I consider it impressive and thought it might help me get "best painted." 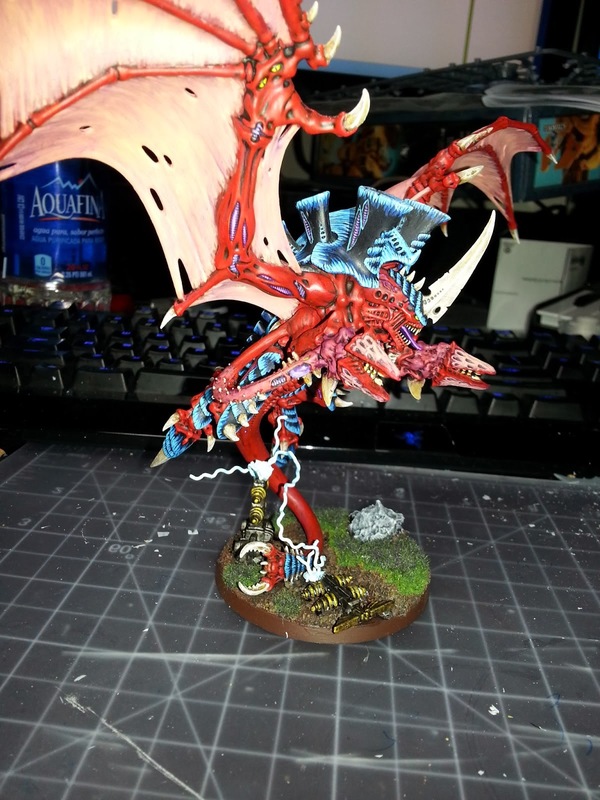 I got runner up to a very cool converted daemon army, but I definitely was not mad. It's been a while since I bought the digital edition of the Farsight Enclaves book and reviewed that. This weekend, while at my local store, I couldn't help but pick up the hard copy - after all, I seriously like the new format of these books. Hey everyone, long time no post! Ron here, and officially back from a board licensing exam study hiatus to bring you guys another magnets article. I'm positively attracted to the idea of sticking magnets in your models to increase their attractiveness and repel readers of my articles with magnet puns. 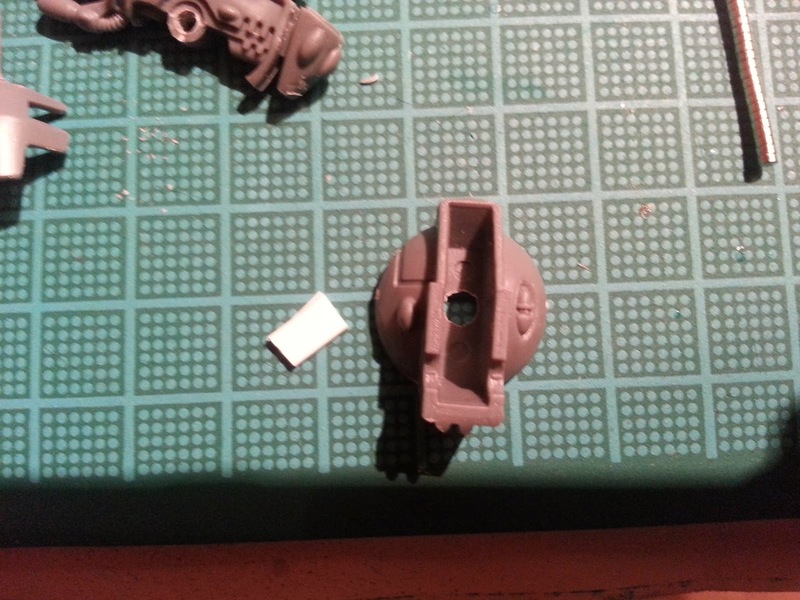 Today we have a real money saver - fully magnetizing the Plastic Hive Tyrant / Swarmlord kit. 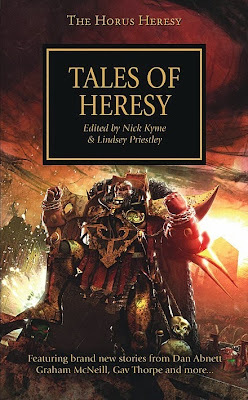 Next up in my Horus Heresy Review Series is Book 10, Tales of Heresy, a collection of seven short stories by assorted authors. I really liked the format as it allowed for glimpses into multiple legions and story lines. 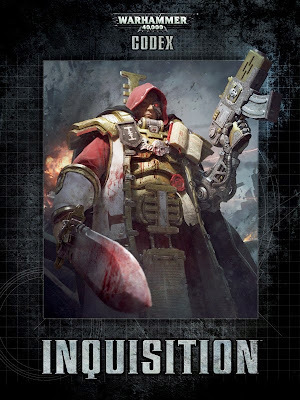 As with my Mechanicum review, I am not going to avoid spoilers in this review, particularly since the short-story format requires spoilers for any real discussion I believe. After the jump, I will go through each story in turn with my impressions, how I think it fits with the rest of the book, and any interesting hints or story lines. Congratulations Yanni! Thank you to everyone who entered. Particular thanks to +Bee Cee, +Henry South, and +Dan Keller for providing pictures of their work. Great work, guys! Just because the contest is over, that does not mean we don't want to still see your progress! We will keep the Flickr Group up and running, and maybe ask for some guest posts from people who submit their progress. Thanks again to everyone who participated and everyone who helped us get to 40k and beyond!